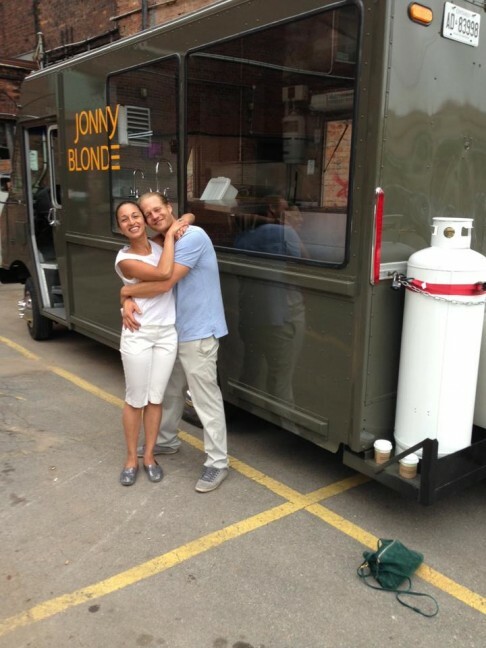 When culinary genius Jonny Blonde locked eyes with documentary filmmaker Layal Al-Haidari at a mutual friend’s birthday party back in 2012 little did they know that just six months later they’d be starting a business together—the gourmet food truck Jonny Blonde—that inspires community, a sense of sustainability, and brings fans of his homemade dough, succulent meats and punchy sauces from far and wide. Here Jonny shares one of his signature recipes that will make any springtime meal pop and more. 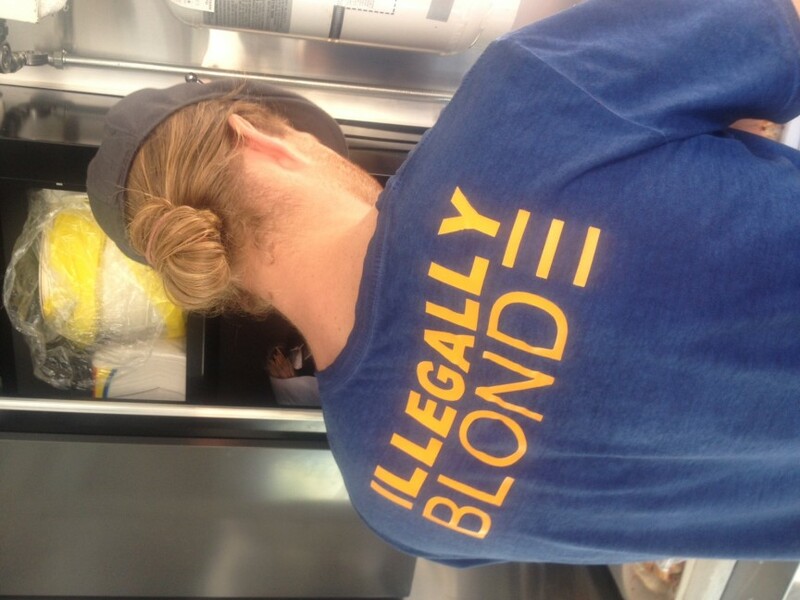 What was the impulse behind starting Jonny Blonde? Jonny: I’d been out of school for a year and felt like if I didn’t do something soon it was never going to happen. So I walked into my job one day and quit. And that day I decided to start a food truck. 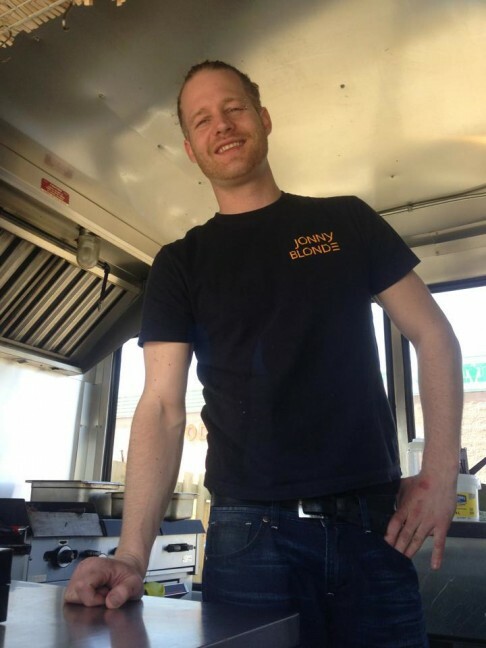 I’d been watching food trucks over the past year and I just thought it would be a cool way to start out, plus it seemed more financially feasible than starting a restaurant. I called a good buddy of mine who he believed in me and he agreed to invest. I bought an old Purolator truck in July 2012 and a month later I met my girlfriend and business partner, Layal. I worked part time that year to save some money and we worked on a plan with the help of my mom, family and friends. I did a lot of the work on the truck myself and had an army of people who helped with everything from painting the truck to plumbing and electrical. 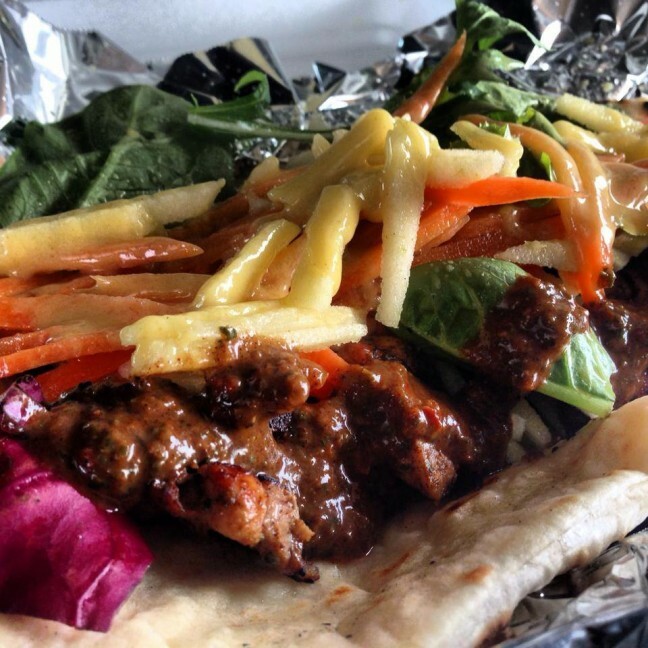 Layal quit her job in May 2013 and in June 2013 we got our food truck license. Our opening day was July 1, 2013 and it’s been a crazy ride ever since. What are the greatest influences on your flavors? 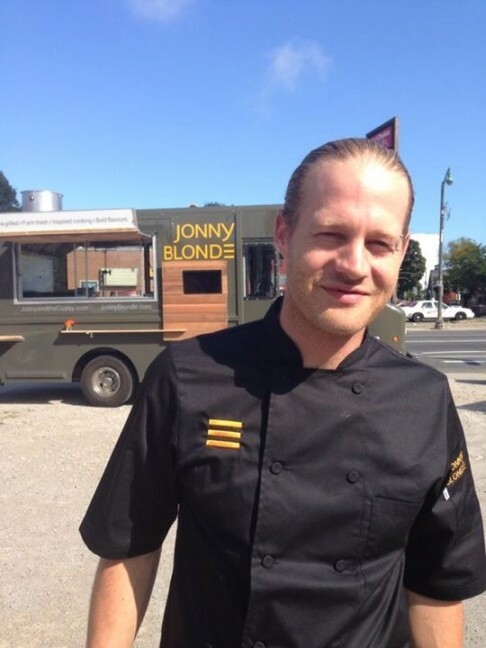 Jonny: I would say the greatest influence on my flavors is to try to let the local and seasonal ingredients shine. Also there’s something I call ‘the darkness’. From where deep flavors come from—intense savory richness—I like to achieve that in certain sauces and dishes. Growing up in Spain also influenced my flavors. Working as a chef in a butcher shop for 6 years I’ve had the opportunity to work with amazing butchers and learn about different cuts of meat. Jerry Menases (Executive Chef at Cumbraes) — I call him my sensei — he taught me a lot about flavors, work ethic, being the best as a chef and also as a person. I’m also inspired by authentic international dishes, taking traditional flavors from different cultures and adding my own twist. Has running the truck connected with your community in new and unexpected ways? Layal: A thousand percent. The entire community has been the best part. We are out there talking to different people in different places every day and have many ‘regulars’ the same way a cafe or bar would — except they travel to find us! Many charities and non-profit organizations host food truck events to fundraise – sometimes we are supporting up to four or five different charities a week. 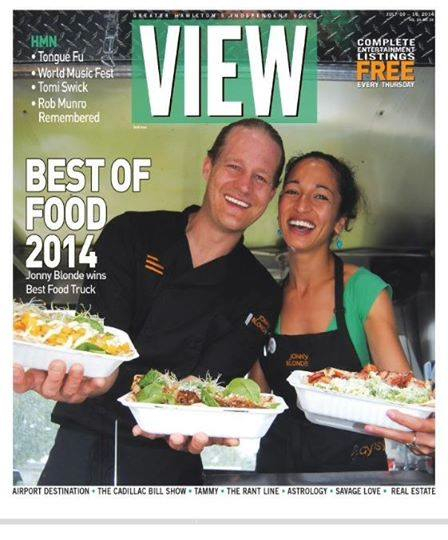 It’s been great to connect with the community and people are still excited about food trucks. If anything its becoming more popular. There is also the food truck community itself — we know a lot of food truckers from Niagara, Hamilton, Kitchener, Mississauga and Toronto. It’s a tough gig so it’s great to connect with other people who get it and can offer their advice and experiences. Also, because we do a lot of catering, everything from weddings to corporate events, it’s amazing to be a big part of people’s special moments and occasions. 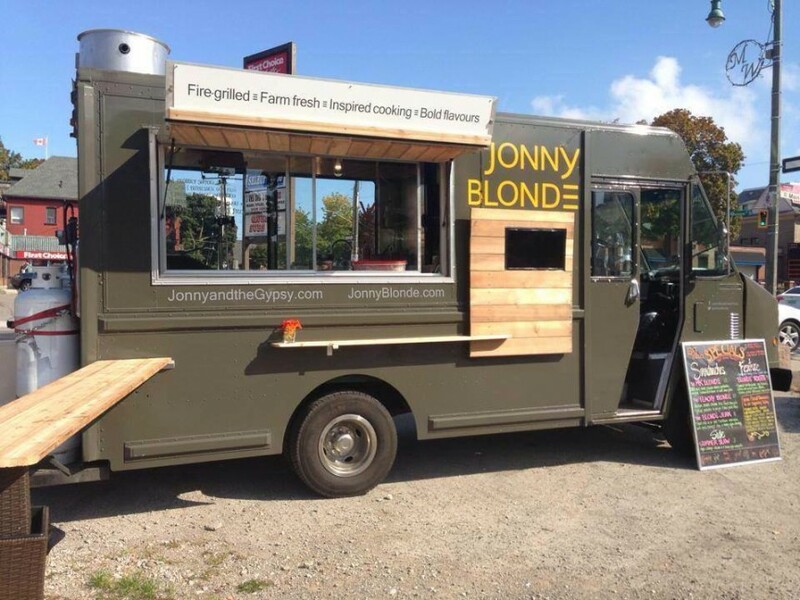 It’s also allowed Jonny to shine as a chef and expose people to the many delicious things he makes beyond food trucking. Can you share one spring recipe that makes one of your signature dishes come alive? I make a simple, delicious slaw that we serve on the curbside menu and also with one of our most popular and my personal favorite the Blonde Jerk (photo above). Depending on the season, I might add or replace a couple ingredients based on what’s available locally. In the summer, I add cucumber. Sometimes I add fennel or purple cabbage. But the basic recipe is below. Mandolin required for best results. To prepare the pickled carrots, put a pot on the stove on high heat and add 1/2 cup water, 1/2 cup white vinegar and 1/2 cup sugar and bring to a boil. Wash and peel carrots. Using a mandolin, julienne carrots. Once the solution reaches a boil, remove from burner. Add julienned carrots and let soak uncovered until cooled. Transfer carrots and liquid to a tupperware and store in fridge for a minimum of four hours, or until you are ready to make the slaw. Once carrots are pickled you can begin the rest of the slaw. Cut cabbage in half and remove core. Using a large sharp knife (or electric meat slicer), carefully cut cabbage into long, thin strips. Wash and peel apples. Pour lemon juice into a bowl. Using a mandolin, julienne apple and place immediate in lemon juice (to prevent browning). Strain liquid from carrots and combine with cabbage and apple together in a large bowl.